Quae supra nos, nihil ad nos. Diripitur sacri praepetis ungue iecur. Accensam rapto damnat ab igne facem. Qui caeli affectant scire, deûmque vices. 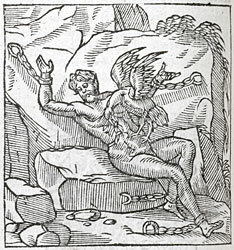 Suspended for ever from the Caucasian rock, Prometheus has his liver torn by the talons of the sacred bird. He could well wish he had not made man. Hating moulders of clay, he curses the torch lit from the stolen fire. - The hearts of the learned are gnawed by various cares, the learned who strive to know the vicissitudes of heaven and the gods. ita exe debat, ut exesum renasceretur. ”Pour sçavoir des haults dieux les affaires secrettes. curieux, ou les Astrologues judiciaires. que l’ayant mangé il renaisçoit tousjours. 1. 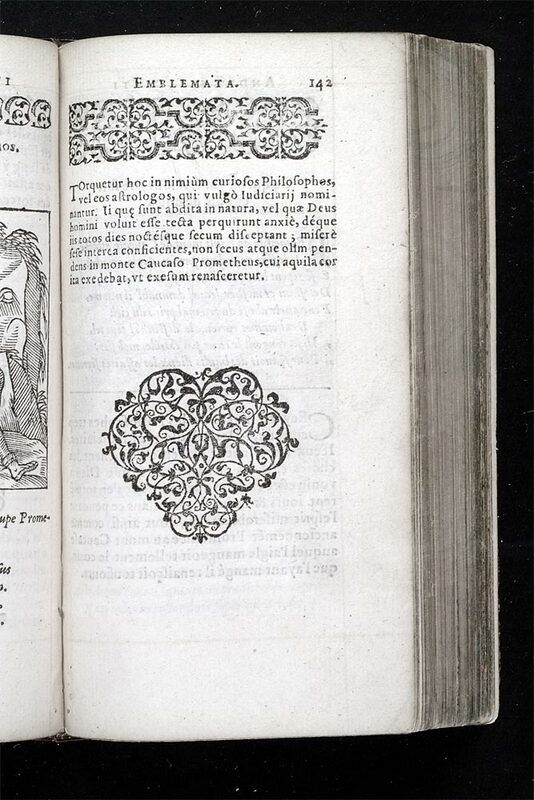 See Erasmus, Adagia 569, Quae supra nos nihil ad nos. 2. The Titan Prometheus appears in myth as the champion of men against the ill-will of Zeus. According to one account, he moulded man out of clay (hence the reference to figuli, lit. ‘potters’, in l.3). Again, when Zeus withheld fire from mortals, Prometheus ascended to heaven and stole fire from the chariot of the sun for the benefit of men. As a perpetual punishment, Prometheus was put in chains and suspended from a rock in the Caucasus, where an eagle, the sacred bird of Zeus, in the day-time consumed his liver, which renewed itself every night. See Ovid, Metamorphoses 1.82ff; Hesiod, Theogony 561ff.